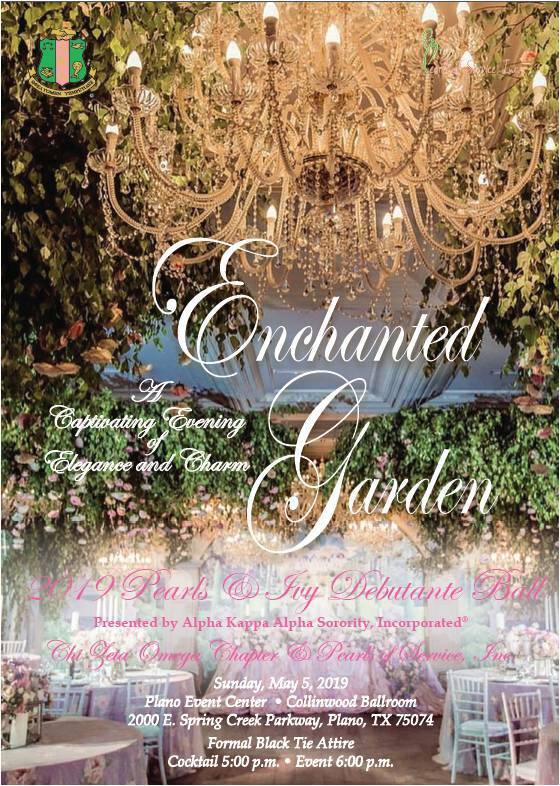 the Mother Daughter Tea,“Blooms of Enchantment"
Miss Pearls & Ivy 2019? 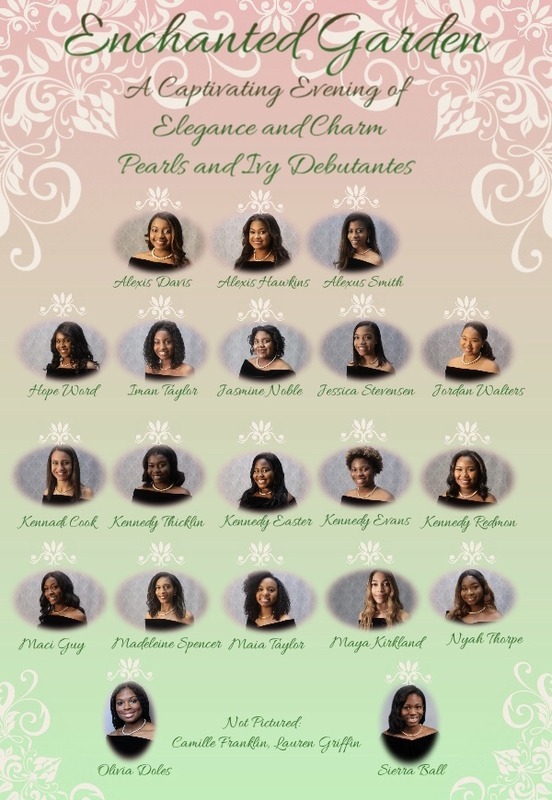 The 2019 Pearls and Ivy Ball and debutante presentation will be held on Sunday, May 5, 2019, 5:00 p.m., at the Plano Event Center - Collinwood Ballroom, 2000 E. Spring Creek Parkway Plano, TX 75074. Through your support Pearls of Service Inc. has sponsored and supported the promotion of high academic excellence, scholarship, community service and community service programs. 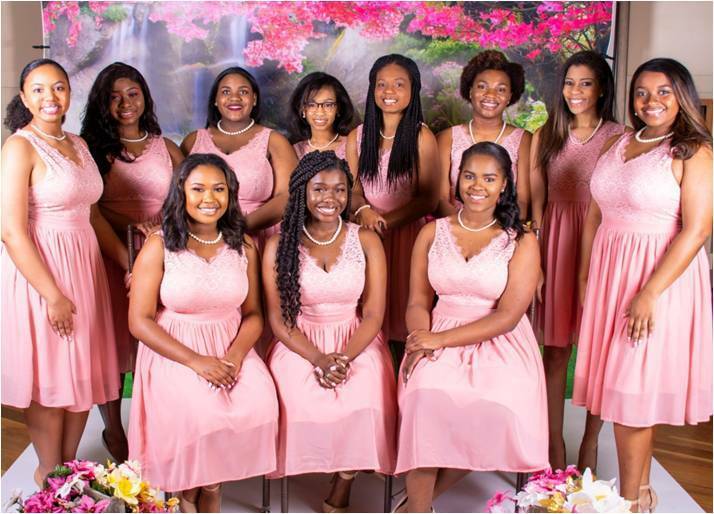 Pearls of Service in conjunction with Alpha Kappa Alpha, Incorporated®; Chi Zeta Omega Chapter, Plano, Texas organized the Pearls & Ivy Program for young women and girls and the Annual Pearls and Ivy Ball. The Pearls & Ivy Program is targeted at junior and high school aged girls. These young ladies participate in workshops to increase awareness of health, social, and economic concerns that impact youth of today. They are provided college preparation insight, and are paired with a mentor to assist in their overall development. The young ladies are also encouraged to give back to the community through various projects. 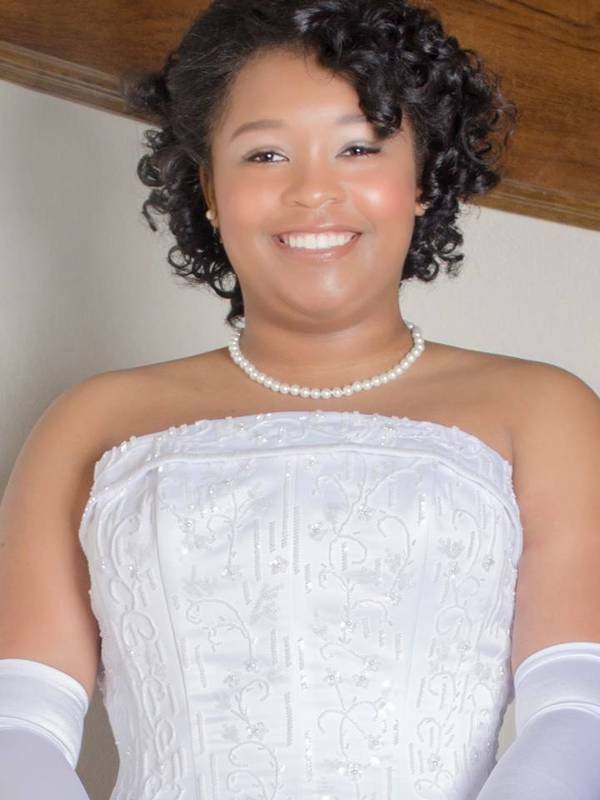 Young ladies in their senior year of high school may elect to participate in the Pearls and Ivy Ball and debutante presentation where they are formally introduced to society. 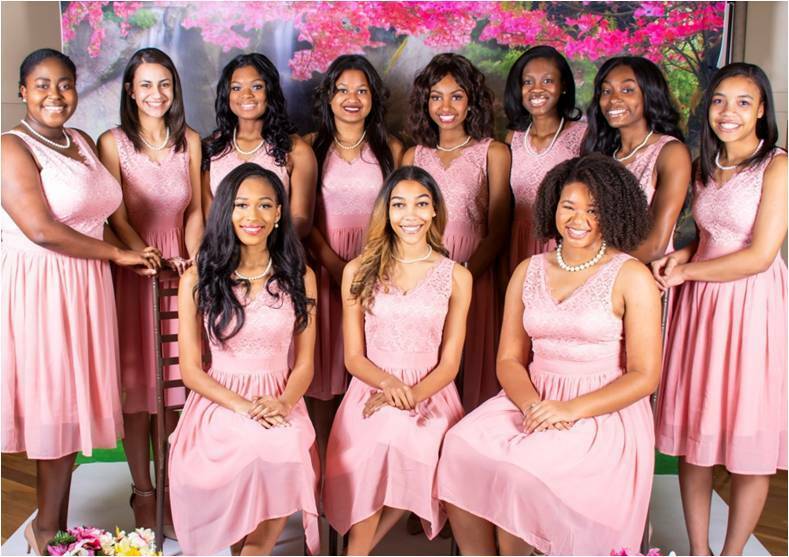 As part of the presentation, those refined young ladies who have met the predetermined criteria are awarded scholarships and compete for the top honor of Miss Pearls & Ivy.